Estella Wylene (Sorenson) Holt was born June 21, 1924 in Lehi, Arizona. 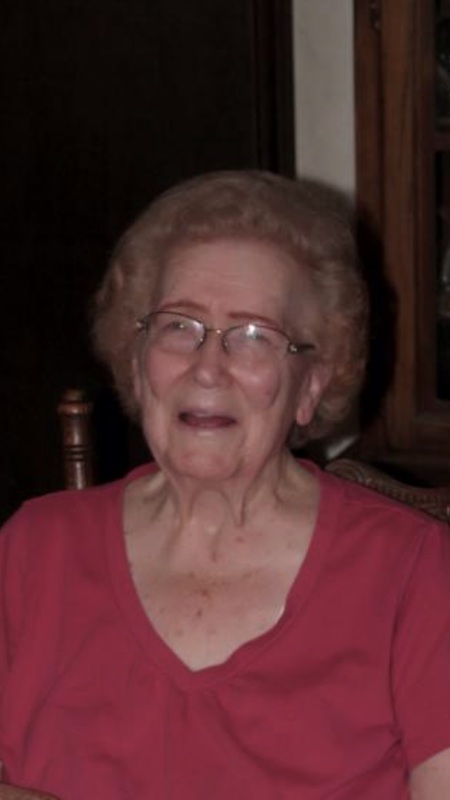 She passed away on Monday, August 6th, 2018 at the age of 94. Stella’s parents were Joseph Alexander Sorenson and Laura Maude (Ellsworth) Sorenson, her siblings were Lorraine, Margaret, Melba, Janet and one brother Joseph. Stella married Heber Holt on March 5, 1942. They had six children Judy (Charlie) Cowen, Chere (Norman) Keys, Becki (Jack) Thompson, Cindy(Frank) Castro, Kim (Ron) Watson and Michael (Jane) Holt. She has 29 grandchildren, 55 great grandchildren and 15 great great grandchildren. She was preceded in death by her husband Heber Holt, and father Joseph Alexander and her mother Laura Maude, her sisters Lorraine Phelps, Margaret Lane, Melba Prater and her brother Joseph Sorenson. Her son Michael Holt, grandsons Jacob Thompson, Joshua Castro and Alex Aguero. A graveside service will be held at the City of Mesa Cemetery, 1212 N. Center Street, Mesa Az. 85201 at 9:00 AM on Friday August 10, 2018. My mom was a member of the Church of Jesus Christ of Latter Day Saints her whole life with a great pioneer heritage. I am thankful for that and for her testimony of our Savior Jesus Christ. My mom worked for Mesa Pubic Schools as a cook in the cafeteria for many years. I was only 4 when she started there. She would take her own spices to work because the food needed to taste better. She was a wonderful cook and we all will miss the many things she made for us especially on all of the holidays. We would always gather at her home to celebrate them. I am thankful for the time these last few years that we cared for her. I know she is finally free from her pains here on earth and look forward to the day we will see her again.